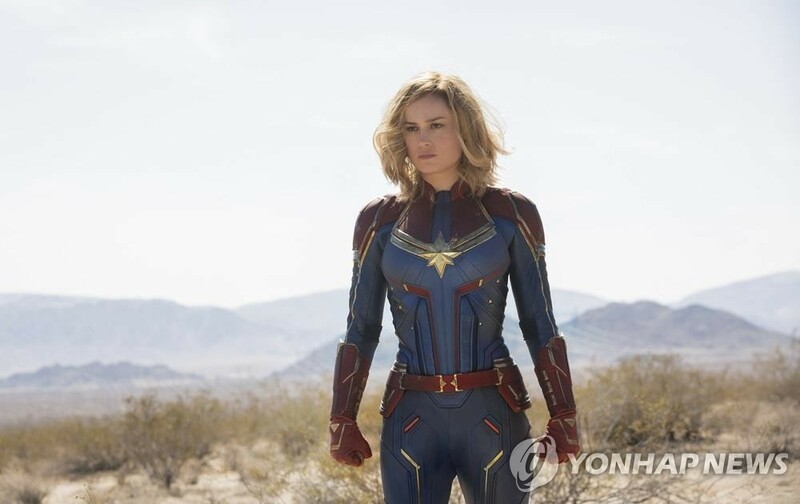 SEOUL, March 18 (Yonhap) -- "Captain Marvel" has become the most-viewed foreign film to date this year, topping the box office for the second weekend in a row. From Friday to Sunday, the Marvel superhero flick added 1,012,115 admissions to its 12-day cumulative total of about 4.6 million, data from the Korean Film Council showed Monday. The movie has stayed atop the daily box office chart since it opened on March 6. On Sunday, it set the record for most-watched foreign film to date this year. The 21st entry in the Marvel Cinematic Universe, "Captain Marvel" depicts the birth of a new hero, Captain Marvel, who rises to be the last hope of the Avengers. Its box office total has already surpassed US$760 million worldwide. Coming in a distant second was American horror-thriller "The Escape Room," seen by 313,593 people. 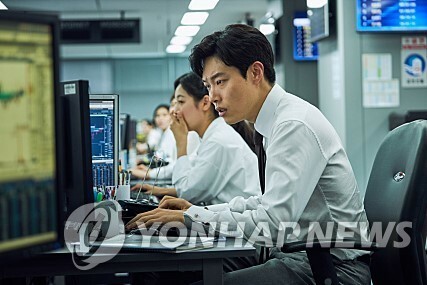 In third was "Money," a Korean crime thriller starring Ryu Jun-yeol, Yoo Ji-tae and Jo Woo-jin. The film about a young stock broker who would do anything to become rich amassed 58,599 views in paid pre-screenings before its formal release Wednesday. Clint Eastwood's drug courier drama "The Mule" took the fourth spot by selling 51,408 tickets. "A Resistance," a Korean biopic about Yu Gwan-sun, an icon of the March 1, 1919, Independence Movement against Japanese colonizers, fell to fifth place in its third weekend in box office. Starring Ko A-sung, Kim Sae-byeok and Kim Ye-eun, the movie tells the story of Yu and several other women who were imprisoned in cell No. 8 of Seoul's Seodaemun Prison for their leading roles in Korean independence protests. Korea was a colony of Japan from 1910 to 1945.